4" high carbon steel blade. Hickory handles. Blades are tempered and hand ground to retain sharpness. Hickory handles are flame burnt and buffed for a unique antiqued finish. Packaged in a protective skin pack or open carded. (NOTE: Blades may no longer be marked as pictured. New images will be provided as soon as they are available) Made in the USA. I have always liked the Old Hickory knives. Good 'ol carbon steel that takes a good edge and holds it well. You have to take care of them a little better than stainless knives but they are worth it. KNIFE JUST AS DESCRIBED. REMEMBER IT'S NOT STAINLESS STEEL. HOWEVER, IT'S A GREAT KNIFE, EASY TO SHARPEN CARBON BLADE, EASY TO CARE FOR. IDEAL FOR MY USE, CLEANING/BUTCHERING DEER. 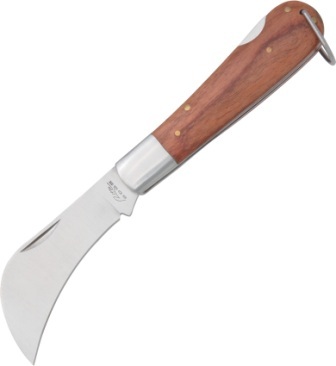 I USE IT WITH OLD HICKORY'S BONING KNIFE. 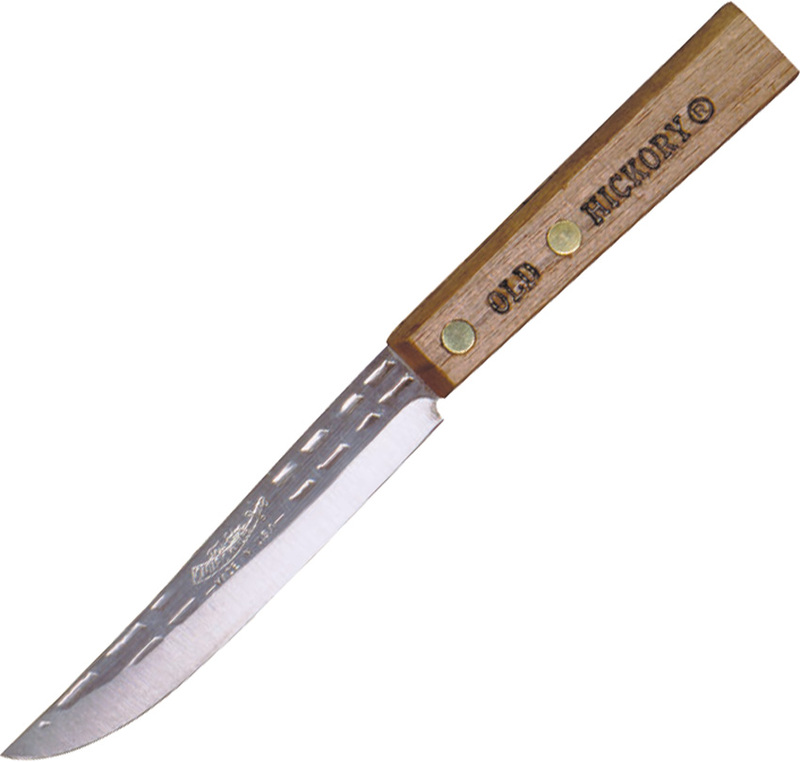 OLD HICKORY IS AN OLD DEPENDABLE KNIFE COMPANY. NOTHING FANCY AND NOTHING PRICEY ABOUT THEIR KNIVES. Log in and purchase this item to be earn 9 points. Learn about Rewards.